Hello and welcome to Comodo Forums ! If you have a suspicion that you're infected or you actually are, you can feel free to ask for help here . -Description of PC behavior. You need to describe what's happening to your computer which is infected, like redirections, system crashes etc. You don't have to explain a lot, just basic things. -Logs. If you ran some tools in order to fix a infection you may attach them to your reply.Do not paste log, use attach option instead, it will be more easier to analyze problem and make a script. -What steps have you taken to remove infection. I need to know all details so i can know which tools to run. -DO NOT install or run any software unless told by to do so. This includes scanners,tools or something else. Some tools may be dangerous if they are used improperly ! 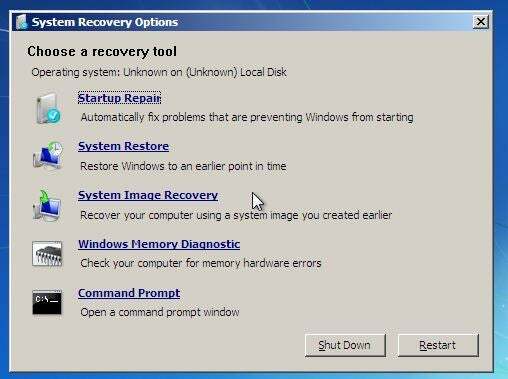 -DO NOT perform system restore or any type of restoration, it will make things worse. -Make sure you backed up all data, because who knows what may happen. -Please follow guides carefully and properly. This means stick strictly to instructions, not to do by yourself. If anything goes wrong, i don't take a responsibility for taken damage . Failure to follow instructions will lead to withdrawing any assistance. -Do not run ComboFix. Combofix is a very powerful tool which is able to destroy system if used improperly and it should be used only if advised by trained professional who knows how ComboFix works . -All tools here are clean and do not contain any malware. If antivirus detects them as malicious, disable it and then continue, but don't forget to re-enable it ! 1)Download Farbar Recovery Scan Tool and save it to your desktop. Run tool as Administrator, and on UAC popup click Yes. NOTE: If you don't know which version is your OS, download and run both of them. One that works is right version you need. Accept disclaimer by clicking on Yes,and wait while tool is making a registry backup which takes few seconds. When you get message in header "The tool is ready to use", click on Scan button, but make sure that Addition is checked before doing it. Program will generate two logs : FRST.txt and Addition.txt. Attach logs to your reply. Download FRST to your USB (download both of them if you don't know which version is your OS). NOTE : If your PC doesn't have Repair Your Computer option, then use Safe Mode with Command Prompt. When CMD loads, open notepad (just type Notepad.exe) and click on Open and find your USB drive and remember it's drive letter . Then type in FRST.exe (if it's 32-bit) or FRST64.exe (64-bit). FRST will load , and you need to accept disclaimer and start scanning (follow instructions above). NOTE: FRST will generate FRST.txt and Addition.txt logs in same location as FRST (your USB) which you will attach to your reply.